Research papers that provide insight and guidance on issues facing community weeklies are invited for the third annual ISWNE/Huck Boyd “Strengthening Community News” competition, but authors should be aware that the first deadline for the two-page proposals is Nov. 1, 2018. 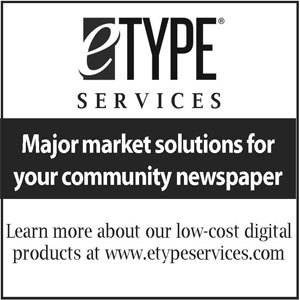 Judging results have been processed and winners of the National Newspaper Association 2018 Better Newspaper Contest and Better Newspaper Advertising Contest have been posted online here. The Ark, a weekly newspaper serving readers in Tiburon, CA, was picked in a random drawing of early-bird contest entries to win a free registration valued at approximately $400 to the National Newspaper Association’s 130th Annual Convention & Trade Show this fall. William F. Tubbs, Barbara A. Walter and Jeremy Waltner will be honored during the National Newspaper Association’s 2015 Annual Convention & Trade Show in St. Charles, MO, where they will be presented with the James O. Amos Award, the Emma C. McKinney Award and the Daniel M. Phillips Leadership Award, respectively, at the association’s business luncheon on Oct. 3, 2015. For the fourth year in a row, Kidsville News!, a literacy and educational newspaper initiative based in Fayetteville, NC, has stepped up to sponsor the National Newspaper Association’s Newspaper And Education contest. Judging results have been processed and winners of the 2014 Newspaper And Education contest have been posted online at nnaweb.org/contests-awards. 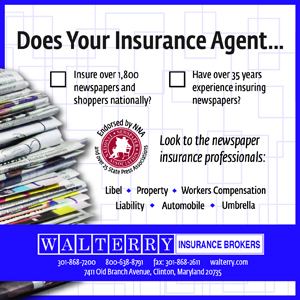 Winners in the National Newspaper Association’s 2012 Better Newspaper Contest, Better Newspaper Advertising Contest and Newspaper And Education contest have been recognized in a special contest PDF available online at nnaweb.org. The PDF includes a selection of winning entries, a listing of all winners and features judges comments for first, second and third places won, including all General Excellence winners. 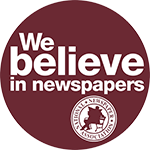 For the second year in a row, Kidsville News!, a literacy and educational newspaper initiative based in Fayetteville, NC, has stepped up to sponsor the National Newspaper Association’s Newspaper And Education contest. The National Newspaper Association honored winners of its 2013 contests at the “Toast to the Winners” award ceremony and reception, Sept. 14, at the Arizona Grand Resort in Phoenix, AZ.